Steven Universe is back with the ‘In Too Deep’ event, and we’re kicking it off with ‘Super Watermelon Island’. 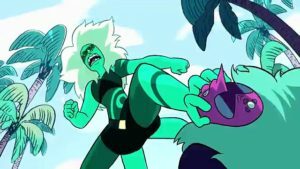 It’s time for the Malachite vs. Alexandrite showdown, and we have thoughts about the future, friendship, and fusion. Steven’s jolted awake back to his own body, where he explains to the Gems what he experienced and saw. They rush off to confront Malachite before she can hurt anyone. Peridot and Steven are left behind where it’s safe, but Steven decides to follow by projecting himself back into the body of a watermelon. Lapis has finally lost her hold on Jasper, and their resultant fusion is on a rampage. 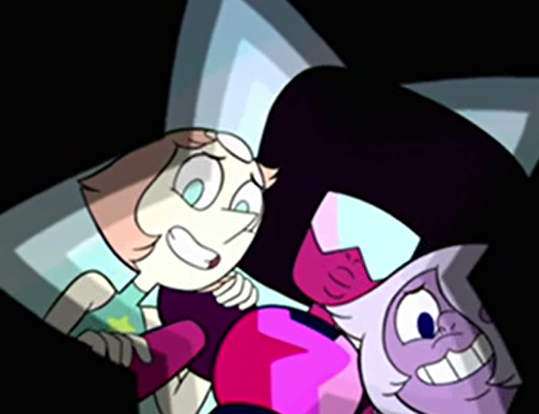 Garnet, Amethyst and Pearl fuse into Alexandrite, and the two duke it out. Malachite has the entire ocean at her disposal, and it isn’t long before the tide turns against the Crystal Gems. Seeing this, Steven finds the fearful watermelon colony, and inspires them to battle with a rousing speech. The sentient watermelon legion armed with spears and catapults is not the most effective army, but they provide enough distraction for Alexandrite to gain the upper hand(s). With a flail, hammer, and arrow combo, the final blow is struck. Unconscious, Lapis and Jasper careen to the Earth. The Gems recognize Steven in his melon body, and thank both him and the watermelon warriors for their help. Celebrations are lost in a terrible earthquake which splits the island in two. Jasper slips into a rocky crevice, and the Gems find themselves separated from the warp pad. Knowing the Cluster is upon them, Garnet urges Steven to return to his body, and begin drilling without them. There is perhaps nothing more in line with the Crewniverse’s style than to make the sequel of one of the sillier episodes of season one, where it turns out that the sentient army of Steven-shaped watermelons he created have now formed a magical watermelon society… and then, have it be one of the most plot-heavy and downright epic episodes yet. 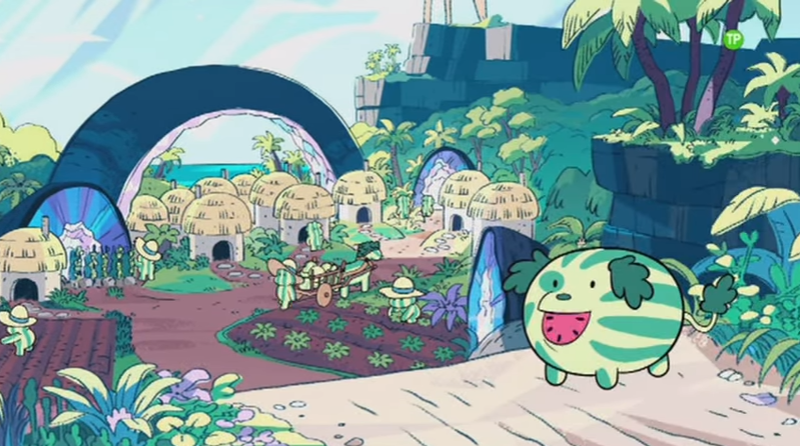 I was absolutely delighted with the world-building of the Watermelon Steven society. Sure, this is an episode with a highly anticipated, knock-down drag-out Kaiju-fight, but we’re going to spend half of it lovingly creating a pacifist society of sentient plant-people. They have chickens, and melon mutts, and baby Watermelon Stevens growing on the vine! They play hacky sack and the drums and subvert traditional gender roles! I love the overarching plot of Steven Universe; of course I do. But gosh, I love the quiet moments, too. And isn’t that what Steven-the-character is? Son of an ancient alien warlord and a primitive primate Joe Schmoe? 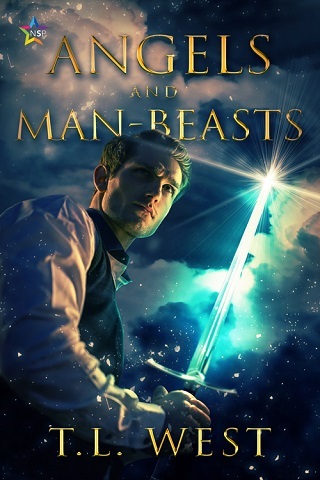 The marriage of the magical and the mundane? I am already designing my Watermelon Stevensona. Her name is Juicy and she likes braiding the hair of the other invisible Gem monsters on Mask Island. Narratively, the Watermelon Stevens also served an important purpose. 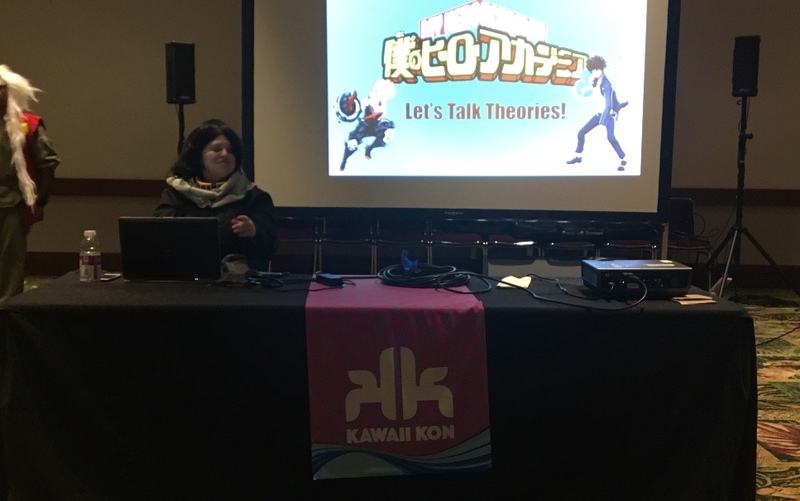 They reminded the audience of the existence of Steven’s plant powers, as well as reinforced his abilities as a natural leader. They also raised the stakes by providing an army of likeable but expendable redshirts which could be gruesomely squashed without censor complaint. Most importantly, however, having them participate in the battle against Malachite emphasized the themes of teamwork and friendship triumphing over mindless hate and violence. 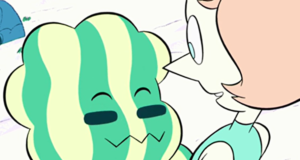 But the Watermelon Stevens of “Super Watermelon Island” were of course an appetizer to the main course: Malachite versus Alexandrite, Homeworld versus Crystal Gems, hate versus love. And what a battle it was! From the highly anticipated Alexandrite fusion dance (d a m n ) to the final moments of bursting Malachite, the battle was well worth the long wait to get there. With a much more harmonious theme playing behind her, Alexandrite switches seamlessly from fusion-component weapon to fusion-component weapon, in the order we were introduced to them, no less! 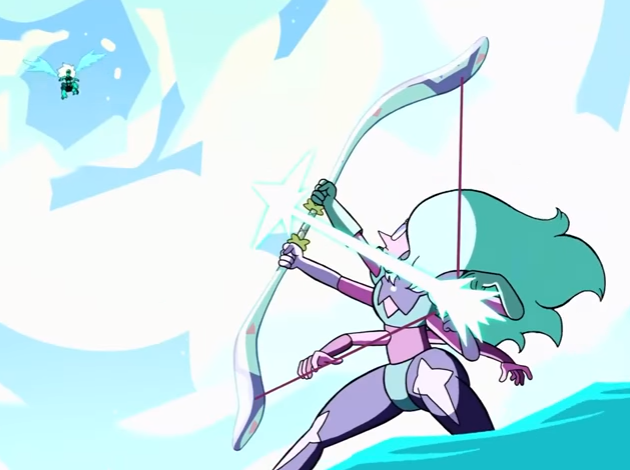 Opal’s bow, Sugilite’s flail, Sardonyx’s hammer, and back to Opal’s bow. 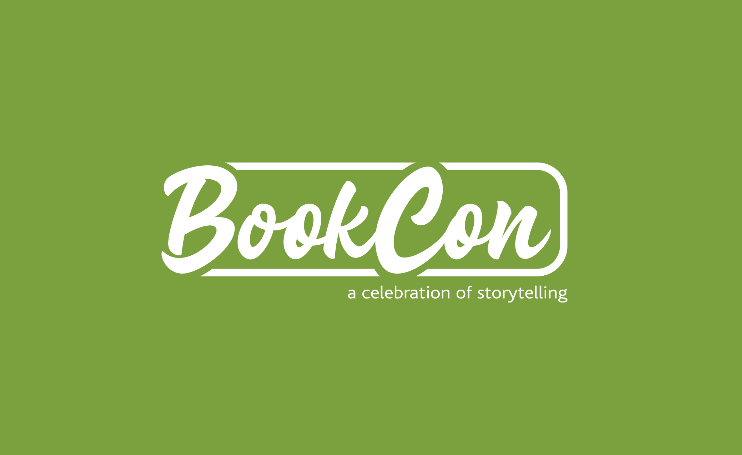 And that last moment, where we see the Gems in silhouette, holding hands to deliver the defusing blow to mid-air Malachite– it felt like each Fusion (and the relationships they represent) was getting her own personal redemption, ending with Alexandrite herself. Even in her lowest moment, Alexandrite says to herself with one voice: “Keep it together.” Compare this to “Fusion Cuisine”, where Alexandrite could barely maintain form for a single family dinner. The Crystal Gems of “Super Watermelon Island” are so much more in sync than the ones of “Gem Glow.” I don’t think we’ve seen the last of the OG CG’s stories and journeys, to personhood, to self-love, to dealing with grief in light of Rose’s passing. But “Super Watermelon Island” still felt like the end of an era, the one where the Crystal Gems were struggling to be a unit, and to love themselves and trust each other. The Crystal Gems’ relationships to Steven have also come a long way since season one. Compare their immediate response to Steven’s Malachite warning to “Warp Tour,” where Steven almost dies outside the warp stream because the Gems do not believe him that robonoids are real. (To be fair, “Steven almost dies because [the Gems don’t understand]” is a Steven Universe trope at this point, but one hopes that moving into season 3, it won’t happen quite so often.) The faith they exhibit in Steven in the last moments of “Super Watermelon Island” was truly touching. “The Earth needs you, Steven! We’ll be fine, you can do this.” “You got this dude! You know the drill.” “Be careful Steven, watch each others’ backs.” “And Steven… we love you.” These are not empty expressions of unconditional parental support; the Gems truly believe in Steven. They have seen him grow into his powers just as the audience has, and they know he is capable of more with his hybrid restrictions than even perhaps his full-Gem, ultra-powerful mother was. 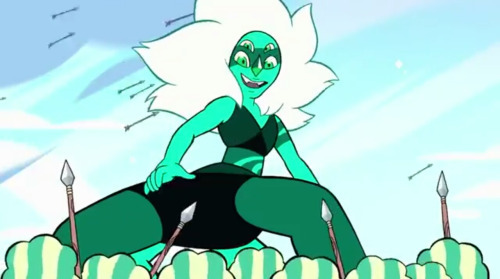 Malachite having the time of her life with wanton watermelon violence. There was one part of “Super Watermelon Island” that did not thrill me: Jasper’s demise. 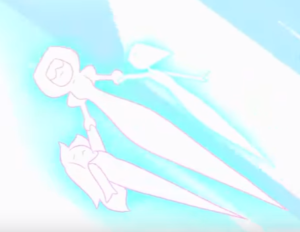 Here she goes slipping off camera like an inconvenient sack of “we’ll get to you later.” The only time I think the writing of Steven Universe flags is when they cut corners for convenience in this manner; it happened with Peridot escaping over and over again throughout season 2, until the plot was ready to explore her character. I believe Jasper is in line for “redemption” after Lapis (and of the Homeworld Trio, probably the only Gem who actually needs to be “redeemed,” instead of merely adjusting their worldview and attitude). But when, when will my orange Quartz bara babe return? At least, with Malachite’s two distinct voices, we get a tiny bit of just-Jasper. I just hope it takes less than 12 episodes (the time between “Warp Tour” when we met Peridot and “Marble Madness” when we saw her again) to acknowledge Jasper’s cliff-diving escapades. One Gem who doesn’t seem to miss Jasper is Peridot. “Just being on a ship with Jasper made me tired,” she tells Steven, breaking my poor shipper heart (Jaspidot 4ever). 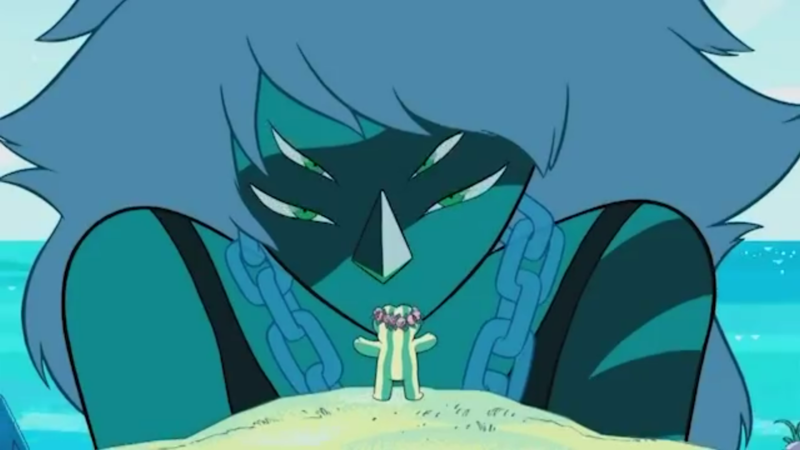 Her reaction in general to finding out about Malachite was… underwhelming, but her small parts in “Super Watermelon Island” were still hilarious. Internet, I except several memes of Peri’s face from her explanation of the “3 steps ‘til Cluster doom.” That said, Amethyst edged Peridot out for most hilarious moment by eating a precious torta during the very serious announcements of Malachite’s return. Overall, Super Watermelon Island was an excellent episode. It gave us stunning visuals and provided us with a satisfying conclusion to multiple character and story arcs, all while setting up new ones for the future. 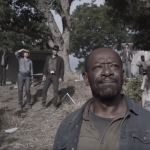 It feels like we’re on the edge of yet another era in the show, with new group dynamics, new enemies and new powers. 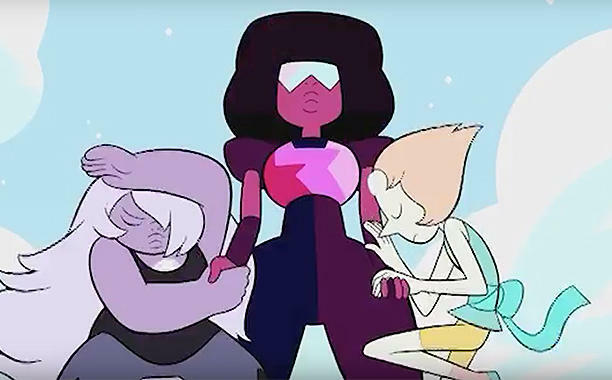 If Rose’s relationship with Garnet, Amethyst, and Pearl can only be told with “three long stories,” I have a feeling we are just now getting to Steven’s version of this, with the cadre of Gems that will become his closest companions (aka Peridot, Lapis, and Jasper). I can’t wait to see how it all plays out. Jasper vanishing into the Earth is clearly an excuse for the writers to have time to focus on Lapis and her adjustment to the group. While this breathing space is necessary, hopefully it won’t be too long until we get to revisit Jasper’s plot-thread. It’ll be very interesting to see Jasper’s interactions with other characters when she does come back. Between what is certain to be a complicated relationship with Lapis, her apparent fixation on Steven/Rose, and her revised views on fusion, she’s certain to bring a really unique perspective on things. 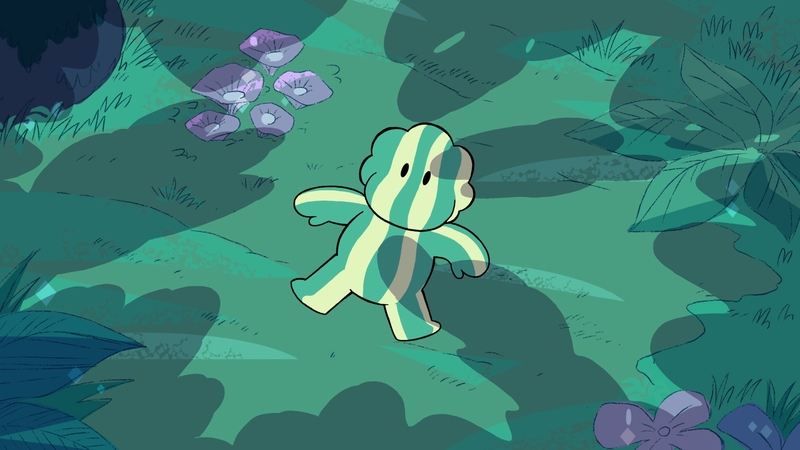 Steven’s ability to possess a watermelon Steven body is an interesting new element, particularly because it’s unclear whether it’s an extension of his plant powers or his psychic abilities (or a combination of both). Either case, it’s a little creepy that he’s able to control the body of a sentient being, but if it’s entirely because of his plant abilities then it’s far more limited. 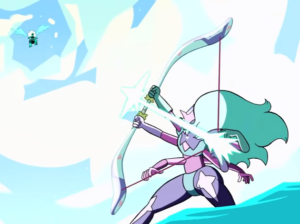 If it turns out that Steven’s able to pilot the body of any Gem (or human), then that has the potential to be incredibly overpowered. Going full Ronaldo: the watermelons’ language sounded remarkably similar to the mumblings of Onion. Could it be that that fringe theory about Onion being a descendent of a race of onion-people created by Rose (or another Gem) have merit? Granted, this would require successful inbreeding between a human and a plant, but our main character is half-rock, so I don’t think that’s too big a hurdle to overcome. Want more? Check out our “Blind Reaction to Super Watermelon Island”.